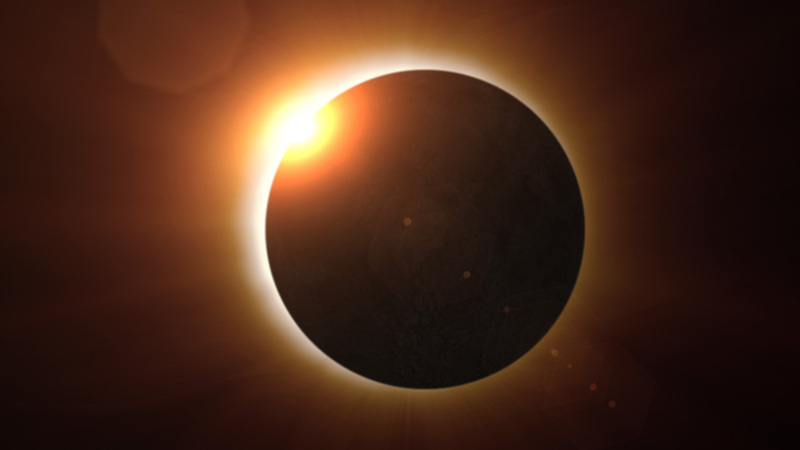 GET CENTERED & ENJOY THE VIEW: Within the path of totality, you can safely view the estimated two minutes when the moon completely covers the sun with the naked eye. Otherwise, your eyes should always be protected by verified eclipse glasses or filters. Never look directly at the sun without protection, even briefly. BE AWARE OF HARMFUL SOLAR EXPOSURE: Outside the path of totality, always use your approved eclipse glasses or filters. If you look at the sun without protection, you may experience solar retinopathy – a condition that damages the back of your eye. The damage can occur without any pain since the retina does not have pain receptors. The damage can be temporary or permanent. KEEP YOUR EYES PROTECTED: Do not use your camera, mobile device, binoculars or any other viewing device to watch the eclipse unless you have a certified filter. Even looking at the eclipse through the regular lens of your camera or binoculars can cause damage to your retina. VISIT YOUR EYE DOCTOR: Please contact us if you have any questions about safety for viewing the upcoming eclipse. If you experience any problems with your eyes or vision after the eclipse, our doctors will able to provide you with the medical care you need. You can contact us at any of our locations with questions or to schedule an eye exam. Click here for a great safety summary Infographic about the eclipse, provided by the American Academy of Ophthalmology. As always, please contact us if you have any questions. From all the doctors and staff at Grin Eye Care, we hope you enjoy this incredible once in a lifetime experience!